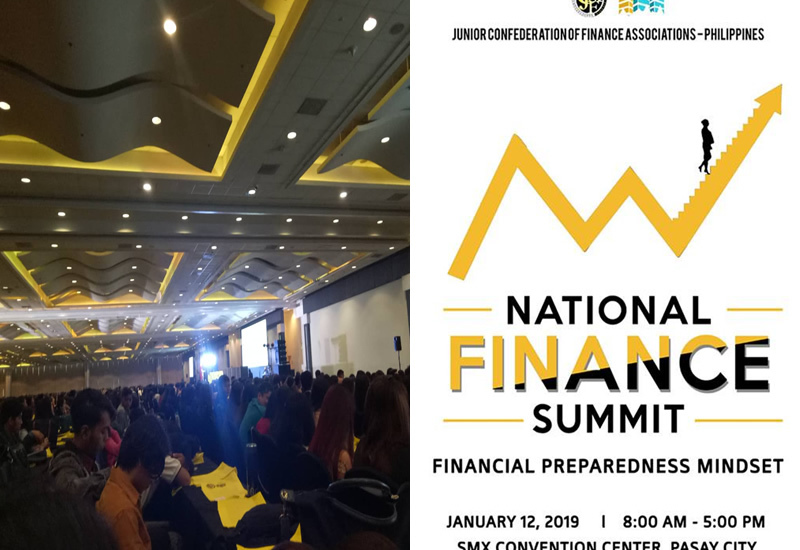 National Finance Summit 2019: "Financial Preparedness Mindset"
Finance students and officers of Junior Financial and Investment Executives (JFINEX) of Sacred Heart College, attended the biggest and one of the most anticipated event of the year, the National Finance Summit. 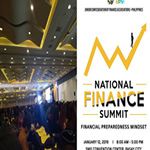 Entitled "Financial Preparedness Mindset" prepared by the Junior Confederation of Finance Associations-Philippines. 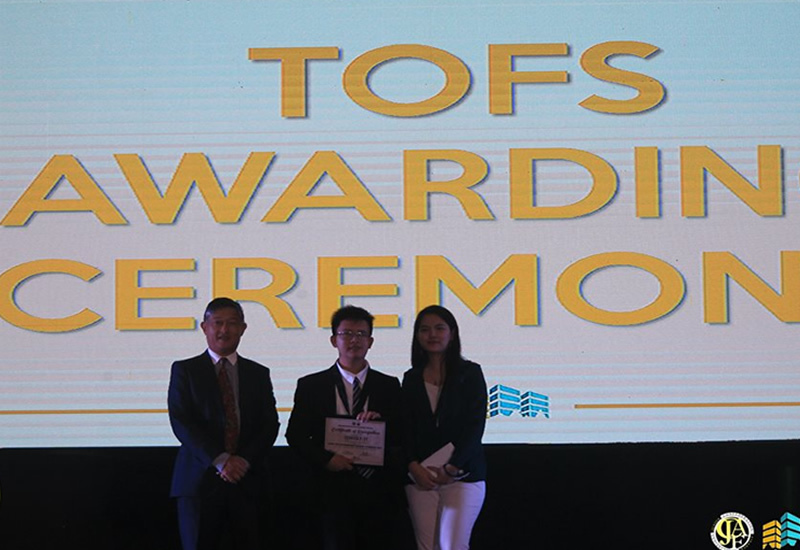 The annual event held last January 12, 2019 at the SMX Convention Center, Pasay City and joined by thousands of student participants across the Philippines. The Summit featured the topics: Philippine Capacity Building, Global Trade Wars, Disruption in Financial Technology, Business Careers, and Data Innovation. The topics were introduced thoroughly by some outstanding speakers who shared their exemplary and remarkable leadership in the industry. The roster of speakers includes: Mr. Alexander Gilles, CFA ,a consultant for market education at First Metro Securities; Atty. Anthony A. Abad, the CEO of T/A Trade Advisory Group, Inc. ; Mr. Emerson Fonseca, the Country Head of NEM Philippines; Mr. Joel Santos, the Managing Director of Thames International, Entrepreneur School of Asia; Atty. Johannes Benjamin R. Bernabe, Commissioner of Philippine Competition Commission; and Mr. Mark Vernon, the President and founder of Tag Cash LTD., and the Vice Chairman and Treasurer of Fintech Phil. Association(FPA). The first speaker, Mr. Alexander Gilles, CFA, is a consultant for market education at First Metro Securities Brokerage Corporation. His topic was entitled "Higher Capacity for Production: Prepares Economy to Grow" . According to him, capacity building is a great tool for economic growth, it can make companies a lot more efficient in the future and stronger as well. Also, if there is a big supply of workers, we could easily target jobs overseas, make own businesses and create jobs in the Philippines. The increase on the capacity of factories to produce can make bigger outputs, mores sales and profits. This could possibly make an 8% economic growth in the next years. " I could only make an estimate, which I think is not unreasonable, so if I said that we can have 8% economic growth in 2020's, I have no clue, but I'm just saying it's not unreasonable" he said. He further added" Now I'm thinking that maybe in 2020's, because of our great capacity we might get 8% or 10%, assuming everything goes well". Also a current issue that countries are facing now, called "Global Trade War" is discussed in the session. 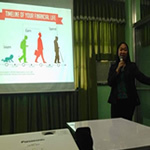 The topic was talked through by the speaker: Atty. Johannes R. Bernabe, Commissioner of Philippine Competition Commission, and Atty. Anthony A. Abad, the CEO of, T/A Trade Advisory Group, Inc. Mr. Anthony A. Abad said "It is important to understand trade war and international trade law because it affects financial inclusion, economy and it affects our daily lives on an everyday basis, our livelihood, our careers, businesses, because trade is a part of Global Economic activity". According to him, when a country imposes tariffs vice versa, it slows down trade and creates Trade Wars. "The Global trading system unfortunately is now being affected by this thing called Trade Wars". The remaining topics followed , and discussed on the whole session.